Growing up in Mamma's house we used to have nicknames for all our favourite places to play. Halliday Park was 'Holiday Park', Tim Neville Arboretum was 'Carvings Park' and McAlpine Reserve was 'Magpie Park' - those swooping devils came out every spring! So sticking with that tradition, Sherbrook Reserve is going to be called 'Block Park.' This one is a sweet little street park that tucks almost right underneath the off-ramp from the Ringwood bypass. 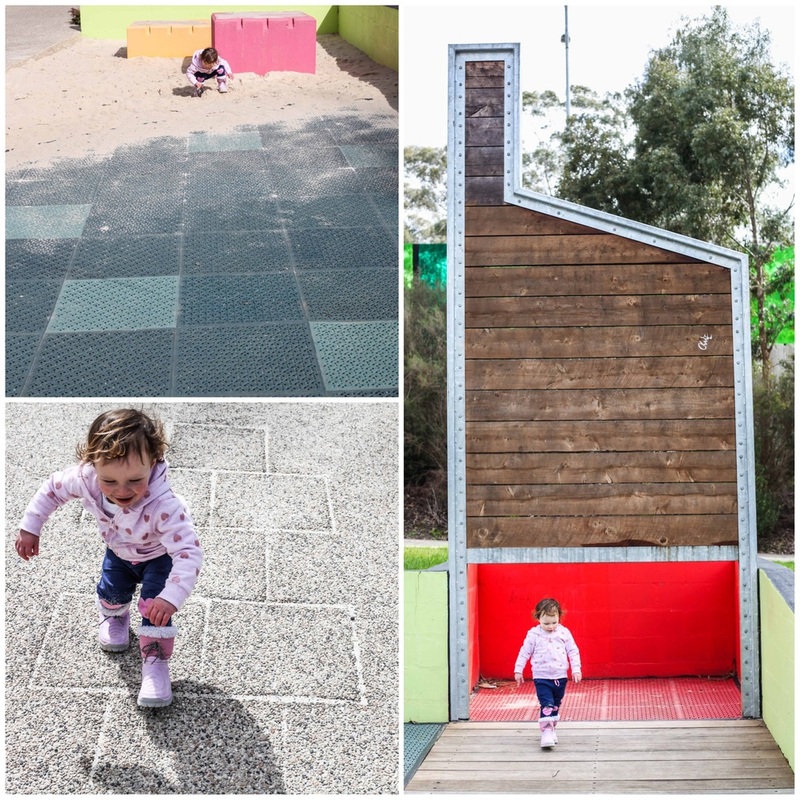 It is a minimalist park style lined with big, bright and colourful blocks that toddlers LOVE climbing up and down. Speaking of little ones, everything (maybe apart from pushing the swing) is at their level. The balance circles, the spinning merry-go-round, the sand pit and the minimalist house - all independent play. There is also a climbing pentagon that maybe the bigger kids can conquer. You won't see any soft fall here, rather the squishy, rubber style floor. Block Park is pretty simple and that is what Mamma LOVES about it - kids will find the fun. Mamma's special mention: Sherbrook Reserve is located right along the Mullum Mullum Trial. If you follow the track right under Eastlink, you will arrive at Schwerkot Cottage.